Hillary Clinton committed a grave error in the 2016 presidential election with her reference to many Americans as “deplorables.” Yet ever since his narrow, Russian-aided win in that election, Donald Trump has proved himself to be the ultimate deplorable. Instead of being a serious, professional commander in chief, one who leads and seeks to unite the country, President Trump bears major responsibility for the climate of hate and divisiveness that has given rise to the violent attacks in Pittsburgh and across the country. The mass shooting at a Jewish synagogue in Pittsburgh and the mail-bomb attack against Democratic leaders have been encouraged and fueled by Trump’s inflammatory rhetoric and loud attacks on minorities, immigrants, the press and basically almost any person who criticizes him and his policies. On Wednesday after the bomb plot was foiled, Trump declared that “threats of political violence have no place in the United States.” Going ahead with political rallies in the midst of these tragedies, Trump appealed for “civility” in our political discourse. Well, to identify a prime cause of the deplorable lack of civility and the rise in hate speech, demonization of minorities and callous disregard for constitutional protections of free speech and the press, the president has no farther to look than straight into the mirror in the White House. Trump is more responsible than any other single person for creating a climate of fear, hate and potential violence. Fact: It was Trump who encouraged supporters at his campaign rallies to go after anyone who heckled him. After the murder of Saudi journalist Jamal Khashoggi, Trump praised a Montana politician for “body-slamming” a reporter. Fact: Trump has regularly called hard-working members of the press “enemies of the people” — a pejorative often employed by Joseph Stalin, the dictator of the Soviet Union. Fact: It was Trump who cavalierly remarked that there was blame on both sides after a neo-Nazi rally in Charlottesville, Virginia, led to violence and the death of an innocent young woman. 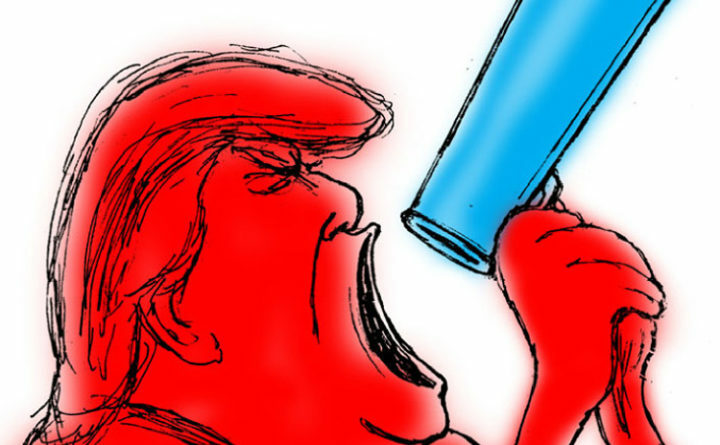 It has been the president of the United States who day in, day out employs demeaning, often racist and foul-mouthed remarks about women, Muslims, African-American professional athletes who express free speech and Mexican or other immigrants. Trump cannot have it both ways. Instead of inciting fear and stoking tension, a president should be serving as a high-minded leader, seeking to unify the country. Instead, he remains in campaign mode, spending more time at rallies that inflate his ego than he does in Washington trying to improve the condition of the country and address serious international problems. Sadly, most Republicans look the other way. Studies also show an alarming rise in anti-Semitic attacks and abuse throughout the country in recent years. Two respected Americans, historian Jon Meacham and former John McCain aide Steve Schmidt, have said the attempted bomb attacks on Democratic leaders constitute the worst act of violence in America since the assassination of Abraham Lincoln. At a far more difficult moment in American history, as the Great Depression gripped America and millions of people lost their jobs and stood in line for bread, President Franklin D. Roosevelt gave an inspiring address on his inauguration in 1933. In the fall of 2018, it is time to speak another grim truth. Perhaps the main thing we have to fear today is Trump and his reckless, inflammatory and incompetent behavior.